This article provides a summary of the 2014 individual health insurance plan rates and carriers for the Pennsylvania Health Insurance Exchange. The Health Insurance Exchanges ("Marketplaces") are new websites where state residents can go to compare and enroll in health insurance plans. All health insurance plans offered through these Exchanges cover a set of essential health benefits, are guaranteed-issue, and offer premium subsidies for eligible residents. Pennsylvania residents can access the Exchange at www.healthcare.gov. These ten insurance companies will be offering 126 different individual plans throughout the state. 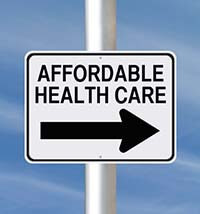 The health insurance exchange opened for enrollment on October 1, 2013 for coverage that can go into effect as early as January 1, 2014. The average rates above reflect the prices of premium prices before any cost sharing or premium subsidies, which may further decrease healthcare costs for eligible residents. The actual amount that Pennsylvania residents will pay depends on their household income. New federal health insurance tax subsidies will cap the cost of health insurance at 2% - 9.5% of household income, if household income is up to 400% above the federal poverty line (FPL). More information on Pennsylvania's Health Insurance Exchange and health reform is available at healthcare.gov. How do the Pennsylvania Health Insurance Exchange rates compare to other states? The Department of Health and Human Services recently released individual premium rates for all federally-run state Health Insurance Exchanges. See: Health Plan Rates for the 36 Federal Health Insurance Marketplaces.